EWG offers a list of produce to help you lower your pesticide consumption called the Dirty Dozen and Clean Fifteen. Local Harvest helps you find local organic farms in the US. Real Milk helps you find unpasteurized, local raw milk in the US. Responsible Technology to learn more about GMO’s and their health risks. Non-GMO Shopping Guide helps you avoid manufacturers that use GMO’s in their products. Center for Food Safety has a shopping guide with downloadable app to avoid genetically engineered foods. Non-GMO Project lets you search for products to see if it’s Non-GMO certified. Companies who are opposing the initiative to label GMO foods in the US. Nutrition Data calculates a food’s nutrition info. Calorie Count has a great tool to analyze the nutrition facts for recipes. My Fitness Pal is an app to keep track of your calories. ACE (American Council on Exercise) provides an exercise library and workouts. ExRx lets you search for exercises by body part and equipment. Consumer Lab independently tests supplements to ensure your supplement is safe. EWG allows you to check the safety rating of your cosmetics and personal care products. Get Body Smart helps you understand how your body works through interactive tutorials and quizzes. Gerson Institute educates about the Gerson Therapy, an alternative, non-toxic treatment for cancer and other chronic diseases. Burzynski Clinic provides advanced and cutting edge cancer treatments. Hippocrates Institute is one of the world’s oldest complementary health centers. Kris Carr is a cancer thriver who shares her journey. Great video resources for all to watch! Dr. Mercola is rated the #1 health website and offers a wealth of articles on nutrition and health. Food Babe is changing the food industry by holding major food companies accountable by sharing what’s really in our food. Dr. Yoni Freedhoff (Weighty Matters) offers views about food and nutrition in his own cynical way which is always fun to read. Food Matters is a great resource for information and videos about healthy living. 100DaysofRealFood started out as a challenge to feed her family real food for 100 days and blog about it…the rest is history. Kimberly Snyder is a celebrity nutritionist, author, founder of Glow Bio smoothie/juice bar, and a yogi at heart. We like to work with companies who work from the heart and offer quality service in the region. We like to think of a juice detox as a reset button to help you cleanse your system, which is why we recommend Detox Delight to many of our clients who need a fresh start. Detox stands for detoxification, or removal of toxic substances. It is the process of activating the body’s natural powers of purification; the key to health, beauty and well-being. Detox Delight delivers all those powers conveniently to your doorstep. With gentle, raw and natural detox treatments based on vegan menus, soups and cold-pressed fruit and vegetable juice they help restore the self-healing process and balance of your body. Customization is the key. Detox Delight will customize your very own favorite detox treatment based on your preferences, allergies or food intolerances. They want you to be happy every step of the way! Visit www.detox-delight.ae or call 04-338-3565. They will be happy to help you find the right menu. Use promo code B2017 to receive 10% off your next detox program. If you’re looking for fresh, nutritious, and true organic food grown by people who really care, then look no further than Greenheart Organic Farms. We trust their integrity and transparency with the organic label. Greeheart has an online shop with convenient delivery options throughout Dubai as well as a shop in Arjan near Miracle Gardens. Liquid of Life is the go-to company for environmentally sound, designer-style, bottle-free drinking water dispensers. Crafted purposefully to aesthetically enhance any office or home environment. 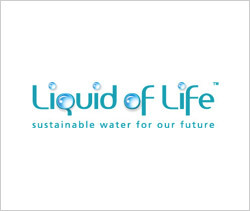 Bwell.ae customers receive 10% discount on all Liquid of Life products. If you’re looking for health savings all under one roof, then look no further than Noviplus! We love the fact that we can shop at our favorite health spots in Dubai and SAVE just by flashing our membership e-card! It’s a win-win in our books! 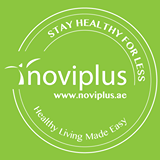 With over 100 top quality brands, ranging from healthy restaurants and cafes, sports retailers, gyms, yoga and Pilates studios, health food stores and more, Noviplus helps you stay healthy for less all year round! Follow them on facebook or visit www.noviplus.ae to sign-up! Use promo code BWELL6 to receive 10% off the six month membership. Use promo code BWELL12 to receive 10% off the annual membership. Ethics, honesty and transparency… all qualities that can be found at Be Super Natural and Bestro Cafe at Galeries Lafayette in Dubai Mall. We love the range of superfoods and raw, vegan menu options on offer, and encourage everyone – even the most meat-loving carnivores – to try them out. You’ll be pleasantly surprised. 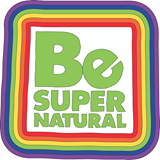 Follow Bestro and Be Super Natrual on Facebook to learn more. All smokers know that smoking is bad for health and hard to break the habit. The good news is that if you WANT to quit smoking, we recommend IQS as an effective solution to help our clients quit. Using electrical stimulation around the ear, this pain-free technology helps the body release endorphins (the feel-good chemicals) to help reduce nicotine cravings and the urge to smoke. To learn more, visit www.iqs-uae.com. Use promo code BWELL to receive 10% discount on your treatment. With modern-day agriculture, we feel that there is a major disconnect between us and our food, which is why we love Bokashi. It’s an easy way to get in touch with nature again even if you live in the city! Bokashi is a unique and simple way to turn your kitchen waste into an organic compost soil conditioner that makes growing a garden at home a piece of cake even if you don’t know a cactus from a rose! Watch B’s first attempts using Bokashi here (LINK).. Follow them on Facebook or visit www.bokashidubai.com to learn more. Use promo code ‘bwell’ (lowercase) to receive free delivery on any order under 5 kg. Get inspired and stay informed with B’s practical healthy living tips. Rest assured, you’ll only hear from me when I have something really good or exciting to share. Be the first to receive the latest scoop on health trends, the best food and health brands, product giveaways and other subscriber-only resources you can’t get anywhere else.